Check out the Fashion Positive materials collection of Cradle to Cradle Certified™ materials and accessories at the Cradle to Cradle Products Innovation Institute. Contact me for details of how your fabric and apparel materials can also become Cradle to Cradle Certified™ and appear on this list. The aim of Fashion Positive is to transform fashion one material at a time. Together, with a community of pioneering brands, designers, and suppliers, we identify, optimize and certify the building blocks of the industry— yarns, dyes, fabrics, zippers, trims, finishing, and more—creating a growing collective of “positive” materials with which to design from the beginning. 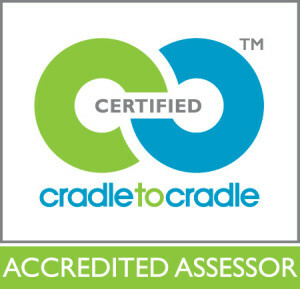 MBDC is an Accredited Assessor of the Cradle to Cradle Products Innovation Institute.